your doorway to extraordinary, life changing experiences! Scottsdale-based Elite Travel of Scottsdale is a full-service leisure travel agency specializing in creating upscale luxury travel experiences custom designed just for you. 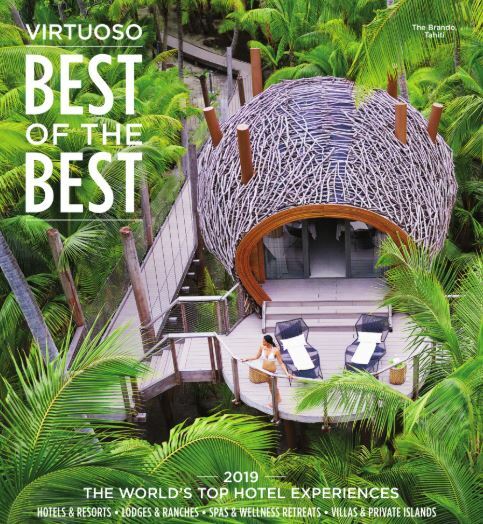 We are proud members of Virtuoso, an exclusive “by-invitation-only” association and the largest luxury travel network in the world. This allows us to put our relationships to work for you…at no extra cost! Elite Travel of Scottsdale is committed to offering travel services of the highest quality and understanding your unique needs. Our first-hand experience, industry expertise and commitment to customer satisfaction have earned us a solid reputation in the travel industry. We hope you will be inspired to contact us to assist you with your next exciting journey as a traveler…never a tourist. Your travel dreams deserve the best! What does paradise mean to you? If it means miles of powder-soft beaches, crystal clear waters and lush green spaces, you've come to the right place. Sail in five-star luxury with Paul Gauguin Cruises in all-inclusive style to Tahiti, French Polynesia and find your own paradise. Spend an unforgettable vacation enjoying the secluded, natural beauty of Mexico. Nestled between the white sands of Playa del Carmen and set in over 80-acres of protected mangroves, jungle and cenotes, Grand Velas All Suites & Spa Resort is the ultimate all-inclusive resort offering you the best of the Riviera Maya, with over 1,000 feet of exclusive beach. It’s impossible to VIP yourself when you travel. Trust us on this and take full advantage of our global partnerships and exclusive invitation-only programs we have formed with luxury hotels worldwide to maximize the level of VIP treatment and amenities you receive on every trip.